Instant Guide to Grinding in Brawl Stars | Brawl Stars UP! Hey guys! 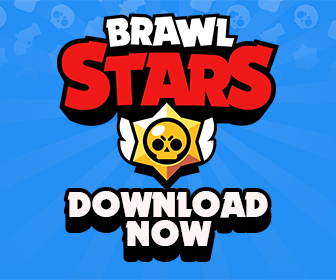 Today I will be showing you some different methods to gain trophies, coins, elixir, chips, or whatever you want – fast! This art is called grinding and it has existed ever since the most primitive video games. Although, I suppose you could just buy a bunch of gems, but I have no money so here is how I do it! I will be splitting this guide up into each method and what you earn from them. 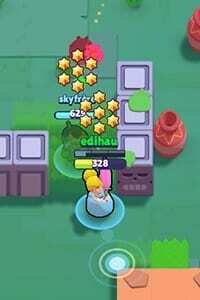 This method is the most popular way to gain a large amount of coins and trophies in a short amount of time. Many people use this method for trophy grinding due to the fact that you can do this with any character (although some are easier than others). First, you will need a showdown event. The best map to do this with is Skull Creek, but Stormy Plains works almost as well. I haven’t really tried this in Death Valley, but judging on the map, I would place it under Stormy Plains in terms of effectiveness. 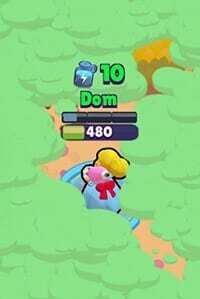 Do NOT attempt this with Feast or Famine because due to the unusual spawn points and box locations, you will get eaten alive there unless you are playing as Shelly, Bull, El Primo etc. If you’ve skipped to this line because you got tired of reading words, don’t worry! The previous paragraph was mainly about which maps you can Showdown Grind on. Now I will explain how to actually do it. Pick a character, any character. This method is great for getting trophies for your lower characters. Enter the showdown map and be on HIGH ALERT mode. The general idea is to avoid ALL contact with anybody. Yes, try to get powerups, but only shoot boxes if you’re 100% sure nobody can take advantage of you while you are busy. Another thing you can do once you’ve gotten the hang of it is you can pull a fight interception (sorry couldn’t think of a better name). Stalk people (without letting them see you) until you find two or more people trying to kill each other. Wait until you’re 100% sure you won’t die, then walk in and finish off whoever survived, because chances are, they’ll be wounded. Basically, do whatever it takes to stay alive until there are only 2 other people on the field. Keep hiding and you’ll either get second place or kill the survivor. This method is very good for grinding trophies and coins. Trophy Grinding is an easy way to earn trophies. However, the problem with this method is the amount of trophies gained are low and it’s slower compared to the other methods. Nevertheless, it is still a safe and easy way to earn trophies. I normally use this whenever I’ve just lost a large amount of trophies in Showdown. First, find two other teammates. They don’t have to be extremely good, the main purpose of this is to organize a team that will work out so you don’t end up on a team with no tank or all tanks, etc. This method works best in Smash and Grab and Bounty. Another thing I would like to point out is I’ve noticed the general skill level of players you are matched up against usually depends on the first player in the room. I don’t know if this is true, or if there is a way to test it, but it might be. Usually, just as a superstition, I have the worst player enter the room first. Once you’re in the room, just play. Due to the strange matchmaking system, if you have a solid team, you’ll win most of the time. Unlike the first two methods, this method offers you almost a 100% success rate. It is also very simple to pull off, and you can do it while multitasking (you do not have to put your full attention into the game). This method does not work on Showdown. To XP grind, simply enter any event other than showdown with any brawler. The double XP events work better for this, but they do not come up every day and sometimes, they end up being a showdown event. 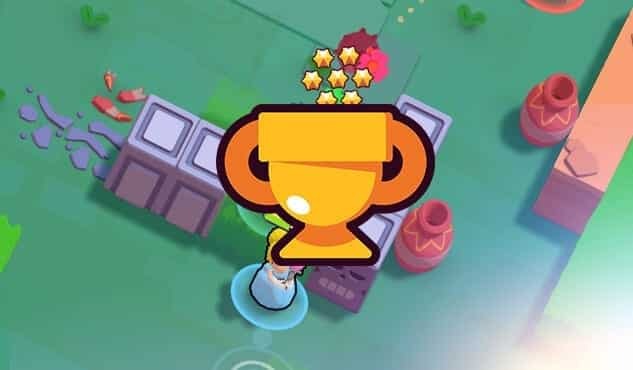 Now, all you have to do is keep your phone or iPad either on- so you can see when the match ends and start another one; or off- so a bot will play for you and increase your already high chance of winning. This method is tried and true! 笑一笑 (world’s highest XP player) was caught using this to farm XP. Since AFK is now detected, you shouldn’t AFK for a long time. I just wanted to get this out there. There are several methods of grinding I did not cover here (such as binge buying gems), but I think I got most of them. 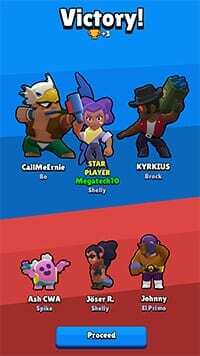 Also, I am very excited for the new brawlers announced today (rip Android) and might write about those soon! Me! I write guides because they're fun to write. People tend to think my guides are better than how good I think they are so I keep writing them. I accept all article ideas; if you have one, I'd love to hear it! Contact me on Discord at the official BSU server, my username is Victini. I'm also on reddit as /u/umbresp.